Teresa Hubbard and Alexander Birchler received honorary degrees from NSCAD. NSCAD University honoured three distinguished artists with honorary Doctorates of Fine Arts degrees at its 2017 Graduation Ceremony on Friday, April 28 at the Cunard Centre. This year, NSCAD celebrates 130 years as a leading school of art and design in North America. Honoured for their outstanding contributions to art and culture are partners Teresa Hubbard and Alexander Birchler and Dr. Adrian Piper. 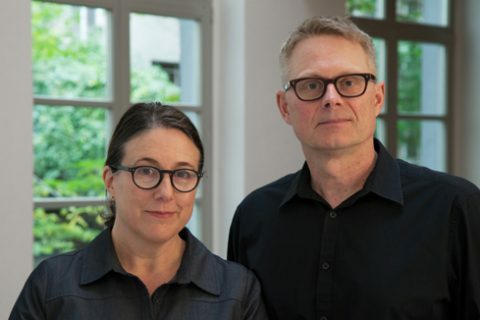 When Hubbard and Birchler completed their MFA degrees at NSCAD in 1992, they were the first artists in North America to have earned MFA degrees based entirely on a collaborative practice and collaborative thesis. “Nowadays there are institutions who have formally adopted collaborative practice methods into their MFA programs. 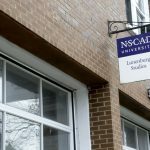 But 27 years ago, NSCAD was a forerunner and willing to commit to the experiment,” says Hubbard, the William and Bettye Nowlin Professor in Photography at the University of Texas at Austin. 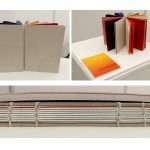 The artists are currently preparing an exhibition for the Swiss Pavilion at the 2017 Venice Biennial opening in May. They divide their time between Berlin, Germany and Austin, Texas. Also receiving an honorary degree from NSCAD is Dr. Adrian Piper. Also based in Berlin, Dr. Adrian Piper is an American artist and philosopher. For more than four decades, her work has turned a shrewd conceptual eye on questions of race, gender and belonging. She was last at NSCAD in the early 1980s when she developed one of her iconic art works—Funk Lessons—with the help of NSCAD students at the Anna Leonowens Gallery. 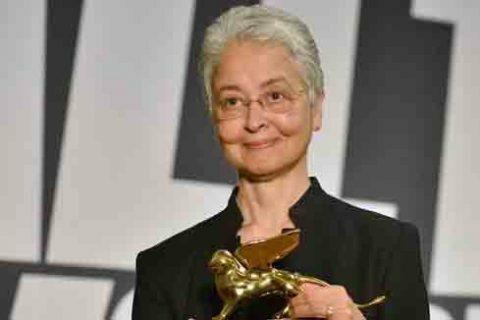 More recently, Dr. Piper was awarded the Golden Lion for best artist of the 2015 Venice Biennale for her participation in Okwui Enwezor’s central show, All the World’s Future. NSCAD alumna Landon Mackenzie (BFA 1976) will address the 2017 graduating class. Professor Mackenzie, who teaches at Emily Carr University of Art + Design in Vancouver, is a 2017 Governor General’s Award Laureate in Visual and Media Arts. An exhibition of her work, Parallel Journey—Works on Paper 1975-2015, wrapped last week at Dalhousie Art Gallery.